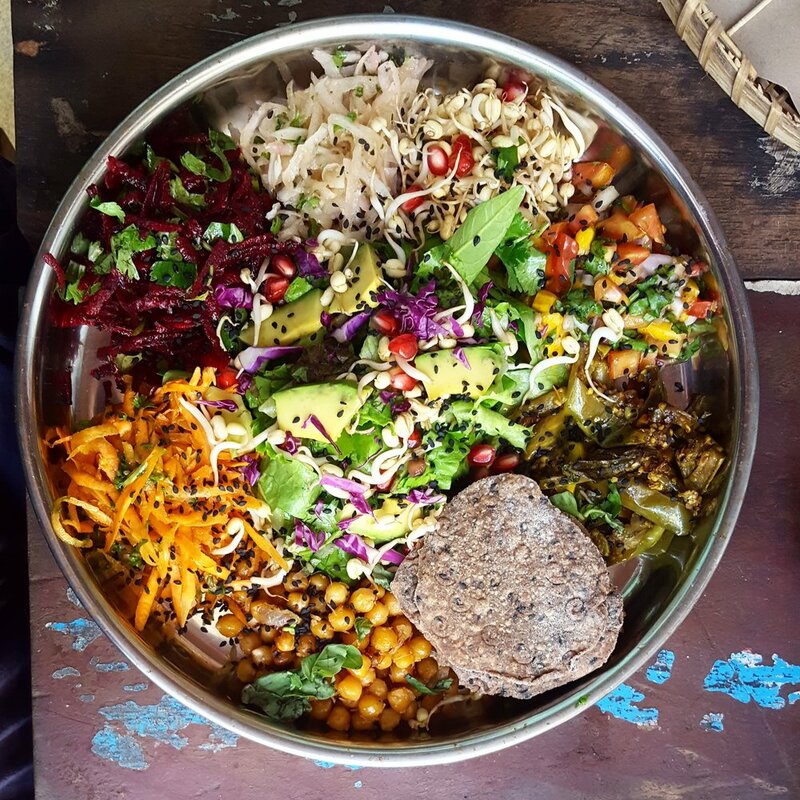 Eating more vegan meals is a great way to pack in more vegetables, fibre and be a more sustainable eater. I was inspired reading an article about how if everyone ate at least 1 plant-based meal a day, we would be making significant steps towards a more sustainable future. For a super light version make this sans pasta with extra zucchini. 1. Squeeze the tofu of excess water. Pat dry and place in a bowl. Crumble with a fork and mix through half the pesto. Cover and stand for at least 25 minutes. 2. Cook the pasta until al dente, drain place back in the pot and stir through some olive oil and the zucchini. Place the lid on. 3. Heat a frying pan to medium high and add the olive oil, garlic and shallots. Cook until softened and translucent. Add the tofu. Cook, stirring gently for about 5-8 minutes. Add the remaining pesto to the tofu mixture and stir to coat. 4. Serve the pesto tofu on top of the pasta. Top with the avocado cubes, toasted pepitas and a squeeze of lemon juice. Add some nutritional yeast for a yummy parmesan-like addition! TIP: Place the tofu in a bowl with a heavy weight on top for at least an hour and the excess water will be squeezed out for you to discard easily. If you are not vegan you can also add an egg along with remaining pesto to the tofu mixture and stir.